Mandy Harris, the rock world's bad girl, has lost her sense of self. Turning her back on the music she once loved, she returns to her hometown. 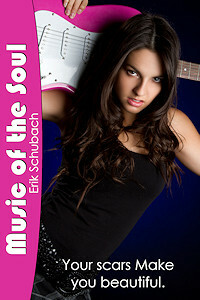 After a chance meeting with Anabella, a deaf girl with a unique appreciation for music and life, she finds herself irresistibly drawn to her. Finding love, pain, and a new sense of self. Their passion gives them the strength to heal both of their pasts, and start again.